The new round of sanctions on Russia benefits the US energy industry and military-security complex, and indicates that conflict with Moscow the principal goal of US foreign policy, former Assistant Treasury Secretary Paul Craig Roberts says. The Senate, in a nearly unanimous vote on Thursday, slapped new sanctions on Russia over alleged election interference by Russian hackers. 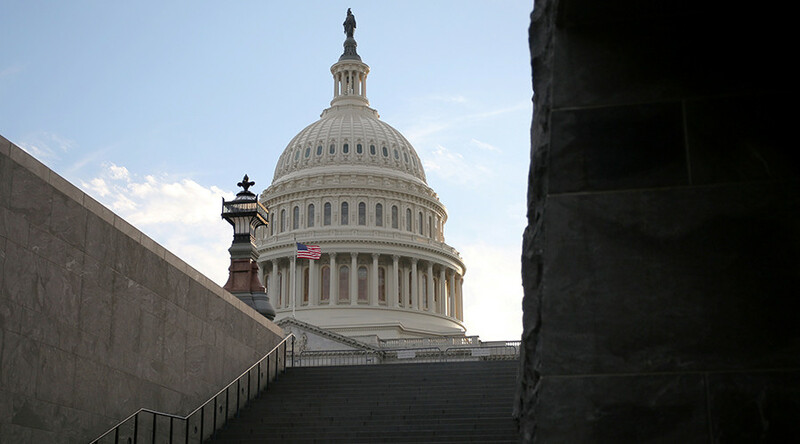 The bill, which will prevent US President Donald Trump from easing existing sanctions on Russia and also imposes sanctions on Iran and North Korea, is sent to President Trump in a veto-proof fashion. Trump reviewed the final version of the bill and plans to sign it, the White House announced on Friday. RT America’s Manila Chan discussed this with Paul Craig Roberts, the former Assistant Secretary of the US Treasury and chairman of the Institute for Political Economy. RT: In your new article, ‘The New Russian Sanctions Bill Is Washington’s Monument To Its Criminality,’ can you explain why you wrote “Congress would rather destroy the President of the United States and increase the risk of nuclear war than avoid conflict with Russia by normalizing relations”? Paul Craig Roberts: That bill is extremely dangerous for two main reasons. One, it prevents President Trump from ever normalizing relations with Russia and as we all know, the tensions now are very high, in my opinion, they are higher than they ever were during the Cold War. The other reason the bill is extremely dangerous is the economic pressure it puts on Russia – because it is designed to replace Russian sales of natural gas to Europe with American sales. So, it harms the ruble, harms the Russian economy, and further isolates Russia from Europe. This is the kind of economic pressure that leads to war. RT: You also argue that these sanctions will alienate Europe and especially Germany, where the pipeline is supposed to end up. What does Congress have to gain then by passing these sanctions? Is it strictly to force their dependency on American natural gas? PCR: That’s part of it. Congress gains political contributions from the American energy industry and it gains political contributions from the military-security complex because this bill is constructed to serve both interests. They’re both extremely powerful interest groups. And so, the military-security complex wins by preventing the normalization of relations, which is a threat to the budget and the power of the military-security complex. And the energy companies win by having a new market for their natural gas, the liquefied natural gas that they’re getting from the fracking operations that are doing so much environmental damage in the United States. This benefits both groups. And therefore Congress – as you saw, the votes are almost unanimous, only two senators out of a hundred voted against it, and only three US representatives out of [more than] four hundred [419-3] voted against it. You can see the power of these interest groups and they put their interests ahead of normalizing relations between nuclear powers. When you have bad relations between nuclear powers like Russia and the United States, the chance of something going wrong is extremely high. RT: Russia took retaliatory measures by cutting the US Embassy staff there in the Federation. In your view, how should Russian leadership interpret these new sanctions? PCR: I think the Russian leadership now has to finally abandon its cherished illusion that it can reach accommodation with Washington. I have made clear for a long time now, the only way Russia can reach accommodation with Washington is to surrender and to accept American hegemony. Now, if the Russian government continues with this illusion that it can reach an accommodation, I think it is guilty of a very dangerous delusion. I think this should be a wake-up call for Russia that the United States Congress has now made the principal goal of American foreign policy conflict with Russia. RT: This is just the beginning of measures taken by Russia. How do you see this playing out moving forward, especially when we have President Trump who’s looking – against the wishes of Congress, apparently – to normalize these relations? How do you foresee Russia playing this out? PCR: Trump no longer can normalize relations. The bill prohibits that. And he has no real alternative to signing it because it’s veto-proof. 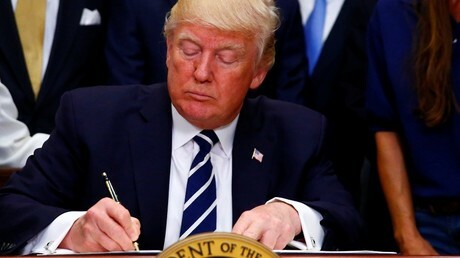 If Trump doesn’t sign it, the media will use that as proof that he is working in favor of Russia and that would probably lead to his impeachment. So what Russia does, I don’t know, it depends on how much they wake up, how much they give up this illusion, this delusion actually, of reaching an accommodation. It is a serious situation for Russia to have the United States committed to a path of conflict with Russia. And that is precisely where the United States is. That is the precise effect of this bill and that is the intention of one of the two main sponsors of the bill – to further the conflict, to raise tensions, because this is essential to the power and budget of the military-security complex.